243 in stock Need More ? 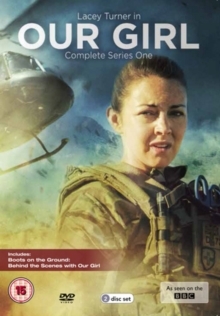 Five-part BBC drama starring Lacey Turner as a young woman who joins the British Army. Following a troubled childhood, Molly Dawes (Turner) left school without any qualifications and now works part-time in a nail salon. Struggling to find direction in her life she is drawn towards an army recruitment office. After signing up she endures rigorous training to become a member of the Royal Army Medical Corps, leading Molly on a journey that will ultimately transform her life.